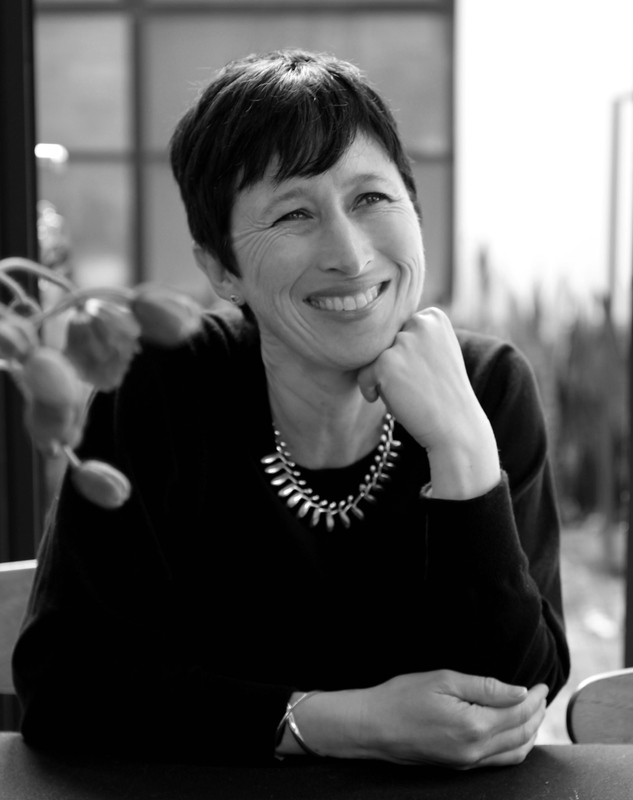 Translation is an art both precise and subtle, and the work of distinguished Australian translator Stephanie Smee has those qualities in abundance. Stephanie has translated several works of French literature into English, and I first met her some years ago, after the publication of her translations of classic French children’s titles by the Countess de Ségur. We got talking about other French classics, and I happened to talk to her about one of my favourite books growing up as a French-speaking child: Michel Strogoff, a great adventure novel by the legendary author Jules Verne. Well, that conversation has led to today, and the publication by Eagle Books of Jules Verne’s Mikhail Strogoff. This is the first English translation of this wonderful book in over a hundred years, and as one of the publishing team at Eagle Books, I worked closely with Stephanie on the project, impressed as ever by her great attention to detail and her thoughtful and perceptive understanding of the literary work she was translating. And so today, to celebrate the release of Jules Verne’s Mikhail Strogoff, I talk to Stephanie about translating the book–and the art of translation in general. Stephanie, translating Jules Verne’s Mikhail Strogoff was a massive and painstaking undertaking. How did you prepare for it initially? Like many Anglophone readers, I was really only familiar with those books of Jules Verne that have always been popular with English readers… Around the World in Eighty Days, Twenty Thousand Leagues Under the Sea, and I confess it had been many years since I had read those tales. So, when discussing with you possible ideas to pitch to English language publishers, your enthusiasm for this historical adventure tale took me a little unawares. However, after getting my hands on an original French edition, and spending some considerable time researching, I realised how enduringly popular Michel Strogoff has been with its French readers. And I became increasingly nonplussed as to how it had slipped from the catalogue of Verne’s other, perennially popular tales which had been translated into English. How does one prepare for a translation task such as this? A number of readings of the text, of course, which serves to allow your mind to “relax” into the rhythm of the text, but then the close readings are required, and the true breadth of Verne’s rich vocabulary and sentence structure sinks in. At that point, there’s nothing for it but to “dive in”! What challenges came up for you as you worked on the book? Verne’s vocabulary is encyclopaedic, and one can almost sense the glee with which he displays his research into the historical, geographical and cultural specificities of his setting. I was very fortunate to have been given some magnificent 19th century French/French and French/English dictionaries by my father-in-law, Jim Schoff, and there is no doubt these proved very useful in grappling with some of the more obscure terms that came up from time to time. I also found some of the 19th century maps of Russia, Siberia and “Independent Tartary” (again, supplied by my father-in-law) absolutely invaluable. One editorial challenge, with which you were very helpful, was determining the appropriate transliteration of place names. Of course, Verne had transliterated place names from the Russian cyrillic into 19th century French. We then had to settle upon the appropriate way of spelling all of these names for our 21st century Anglophone readership while remaining authentic to the historical setting of the novel. As readers will be aware, customs surrounding the spelling of Russian names can be a moveable feast and often differ from one current newspaper or novel to another, depending on the editorial decisions made. The historical maps I had at my disposal were certainly useful, but again, it was customary in the 19th century for many mapmakers to use French spelling of Russian place names, as it was assumed that educated readers and scholars would have French at their fingertips and unfortunately, we can’t make such assumptions for our readership anymore! 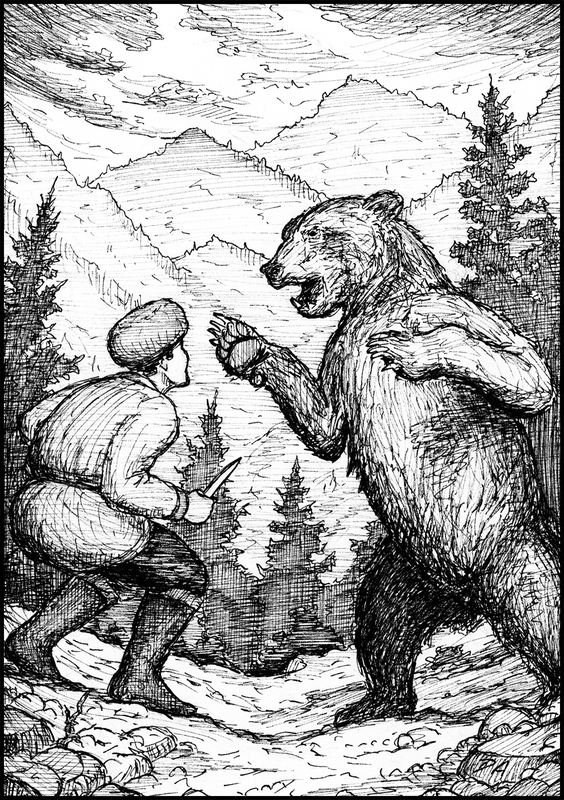 I did often wonder how translators used to manage before the internet allowed us access to so many superb resources, including to such things as 19th century accounts of travellers making their way through the same or similar parts of the world as our hero, Mikhail Strogoff! Images of Tartar battle dress or Siberian towns which I was able to access through Google books often allowed me to create a mental picture of the word-image I was trying to paint with my translation of Verne’s detailed text. Verne’s narrative is quite straightforward but his style is richly laced with idiomatic and other flourishes. How did you capture that very particular spirit? translator’s task really has to be to imagine herself into the landscape, listen to the rhythm of the descriptions and the dialogue and try to render that same rhythm into English. Where there is a particular urgency to the events unfolding on the page, I’d like to think that a good translator will be able to reflect that same urgency – whether it’s as simple as adhering to similar sentence length, or perhaps through a choice of words that will help make the narrative pop and crackle with that same sense of urgency. Of course, 19th century literature often uses tenses and moods that are rarely employed in modern literature and ideally, those grammatical nuances will be reflected in the English too, although there is a fine line to be drawn sometimes when translating tenses which would perhaps seem “clunky” or awkward to a modern reader’s ear. As for the dialogue, there is no doubt Verne’s own skill in drawing his characters rendered it a joy to translate their dialogue as it meant I had little difficulty imagining myself into their conversations and under their skins. At this point, I should also underline my gratitude, not only to my editor and publisher–yourself!–but also to my father, Michael Smee, whose assistance in proof-reading – offering second and third pairs of eyes and ears to “hear” the rhythm of the text – were quite invaluable. How different was it working on this translation as opposed to those you have worked on before, such as the Countess de Ségur’s classic children’s books? 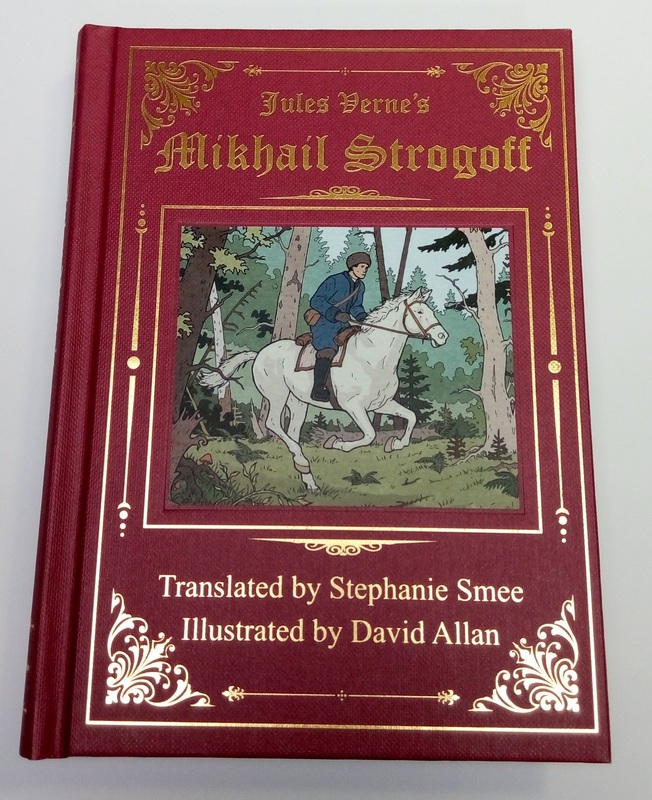 The translation of Mikhail Strogoff was indeed quite an undertaking, and in this respect, it really felt quite different to sitting down to translate the Countess de Ségur’s books, which although quite lengthy for their genre, have a considerably younger target audience to that of Strogoff. 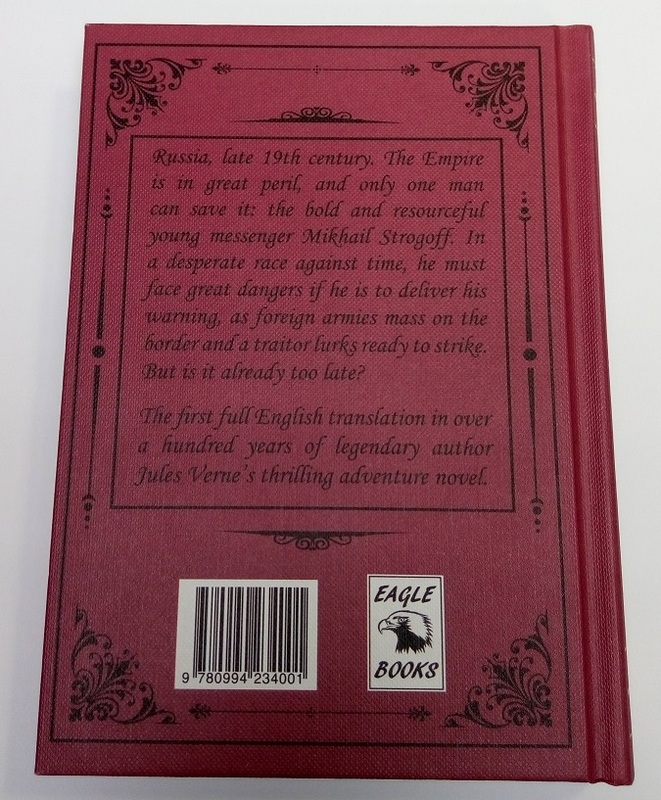 (That said, I just received a very enthusiastic message from my 11 year old nephew telling me how much he loved this latest translation, but that while he had been waiting for his copy to arrive in Boston, he had eagerly revisited all of my translations of the Countess’s books, so there is obviously a little bit of audience cross-over!) In attacking a work like Strogoff, there is a different level of stamina required both in respect of the novel‘slength and the complexity of its vocabulary. Julie Rose’s masterful translation of Les Misérables of course takes that degree of difficulty to a different place altogether! Verne and the Countess de Ségur did at least share some similarities of the epoch in which they were written, being works penned in the 19th century. Russian-French writer Andrei Makine, in one of his novels, Le Testament Francais, has his narrator say ‘the translator of poetry is the poet’s rival; the translator of prose is the novelist’s slave.’ What is your opinion? Do you have a philosophy of translation? I can quite understand narrator’s standpoint in Makine’s novel. It suggests a degree of “freedom” that perhaps a translator of poetry might enjoy, compared to the prose translator. But I’m not sure I agree entirely. While the quote from Makine acknowledges the “originality” of the poet/translator’s new work, I disagree with the suggestion that the translator of prose is in any way more the novelist’s slave, to use that same imagery. The rules relating to the translation of the ‘form work’ and ‘scaffolding’ of prose might be different to that of a work of poetry but at the end of the day, translators of prose and poetry are both working creatively and originally, both limited by a desire to remain as faithful as possible, not only to the original text, but to its emotion and rhythm. In many ways, as illuminated by the comments below of John Edmunds, renowned translator of the verse-dramas of the likes of Racine and Corneille, translators of poetry might feel more “enslaved” by the need to adhere to the particular poetic structure and rhythm of the original work. As a translator, I stand most in awe of those who translate poetry but are they the original poet’s “rival”? A good translator of poetry is truly not just any ordinary linguist – they must hear the poetic rhythm in the source language and be able to recreate that beauty, that mystery, that imagery in the target language. It requires decisions about meters, rhyming – whether it is best to try to retain those rhythms in the target translation or stray a little from the source language in order to recreate a rhythm that somehow best captures the original imagery and magic of the poetry. A translation intended for performance not only must be immediately intelligible to the listening ear, but ideally, I have always thought, should be capable of delivery by a putative bilingual cast in precisely the same way in either version. Like musical scores these verse-dramas have their crescendos, staccatos and rallentandos: in the new medium they need to be preserved. This can be achieved only by maintaining the sentence-structure so that the actor’s breathing-pattern is reproduced, because the pulsation of the performer’s vocal energy is the life of the play. And, clearly, the action has to flow at the same pace as the original. This necessitates a line-by-line rendering. A play written in verse is truly recreated in another language only when it has the formality of disciplined verse-structure. Which form to employ? And Edmunds then goes on to discuss his choice of Shakespearian blank verse “which has a driving impetus and the rhythm of colloquial speech” over the English alexandrine which, he suggests, is “too stately for drama; and the rhythmic beat of our heavily stressed language does not need rhyme to create form.” He also comments that rhyming couplets can sound jokey, at least to British theatre goers “reared on pantomime.” Ultimately, he says, the translator can only do his best with the tools available to him in his own language in reverence to the “supremely gifted authors” one has the privilege of translating. My own “philosophy” of translating? Many scholars and practitioners have penned many thoughts on this topic and I’m not sure I should be so bold as to add my own. I do know, like John Edmunds, that I feel an enormous sense of privilege to be working as a literary translator, particularly translating the work of a literary figure such as Jules Verne. And even though I am not a translator of poetry, I also know that beautiful prose, too, has its own rhythm, its own fluidity, its own internal mysteries which any good translator must try to encompass in their work. So, if a translator can recreate that original sense of wonder and excitement generated by any good piece of literature, whether it be a work for children or the most fiendishly obscure piece of poetry, then perhaps the translator has succeeded in her task. It’s been said that there aren’t enough novels from non-anglophone countries translated into English. Would you agree? And why do you think that is? Yes, indeed I do agree – as both an avid reader of translated literature and as a literary translator! Although I hasten to add that I have been very, very fortunate to have a number of my translations published beautifully by both Simon & Schuster (Aust) and of course, Eagle Books. That said, Linda Jaivin, in her essay Found in Translation published in the Quarterly Essay (issue #52, 2013), referred to statistics that are enough to make any literary translator cry. And, she goes on to say, there is no reason to believe the situation is any better in Australia – in fact, she says, it’s probably more dire. Why is this the case? There are many reasons, but most of them come down to the fact that English has become the “default” language of the world. And at the same time as the rest of the world has adopted an educational approach that emphasises the need to learn English, largely for trade reasons, the number of people who still learn foreign languages in English speaking countries is plummeting. This can only lead to serious cultural insularity and, while learning a foreign language is not an easy task, as Jaivin acknowledges, “a sensible corrective is access to a rich body of global literature in translation.” Yet we are failing on that front, too. Monolingual publishers/editors make it difficult for foreign language publishers to sell their works into the English language market, as they are forced to rely on potted descriptions, quickly translated excerpts, and, only if they’re lucky, some healthy sales figures or reviews in the original language market. The same difficulties confront literary translators trying to pitch ideas to Anglophone publishers. Even when books have earned their stripes in sales and reviews in their native market, I have often been met with the response: “translations are very hard to find space for in the market”. Why they are any harder to find space for than untested English language books is quite mysterious to this literary translator. Sales in Anglophone markets of Pippi Longstocking and Asterix would, I’m sure, rival sales in their own market, due to their very skilled translators and to the fact that they are quite wonderful books! Yet I do know why. In a market where publishers are being forced to tighten their belts, there is little cash to spare to pay for English language publishing rights, as well as a skilled translator. And I can only assume also that sales and marketing teams must know there is an inherent reluctance or suspicion on the part of readers when it comes to foreign literature. 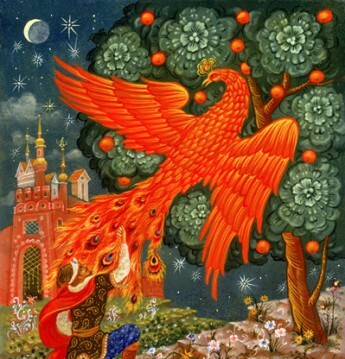 Fortunately, at the same time as so many of the large publishing houses are publishing fewer and fewer works in translation, there are increasing numbers of independent publishers, like Eagle Books, who recognise the need to take a stand against the cultural hegemony of the Anglophone publishing industry and who are making it their business to publish works in translation. Our wonderfully cosmopolitan and plural society deserves no less, particularly if we mean to engage in a meaningful, reciprocal and generous way with the billions of people on this planet for whom English is not their mother tongue. We need to be able to hear everybody’s stories! What are you looking at translating next? I’ve in fact embarked on a terribly entertaining translation project with my Swedish mother. We are translating some very well-known (in the Swedish market) children’s stories by Gösta Knutsson about a little cat called Pelle whose tail was bitten off by a rat when he was a kitten. They were first published in Sweden in the late 1930’s-1940’s and Knutsson continued to write for many decades. They’ve been enormously popular in Sweden since they were first published. The first three in the series are to be published next year by Piccolo Nero, the children’s imprint of Black Inc publishers. I’m also working on some submissions involving the translation of some modern French novellas and short stories which I’m very excited about. They’re written in very different language to the 19th century text of Jules Verne, but I’m loving the challenge. They’re wry and erudite, fanciful and yet thoroughly modern… works that are very much for and of our time.